The Lakers can go over the cap and then resign him using early bird rights I believe. Not sure what his cap hold is I think they’d have to keep it on the books. 34.3% is not terrible even though he was much better prior. 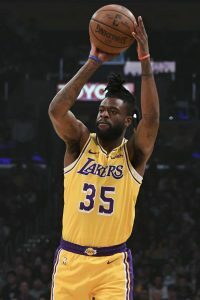 Lakers should keep him for 2yr/8MM IMO.